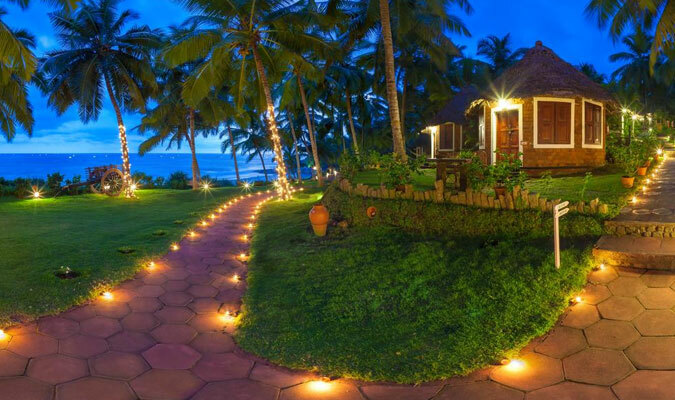 Placed at a distance of around 9 km from Kovalam, Manaltheeram Ayurveda Beach Village is placed on hill slopes, overlooking the sea. Known for offering excellent Ayurveda therapies and treatments, the retreat has a picturesque setting of Chowara village that takes you away from the hustle-bustle of the city life. 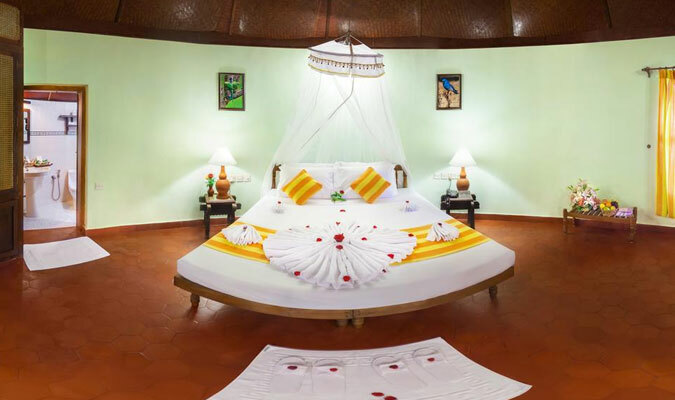 This is an eco-friendly village resort that also offers cultural programs, sightseeing trips, indoor and outdoor games, swimming pool and other such services. 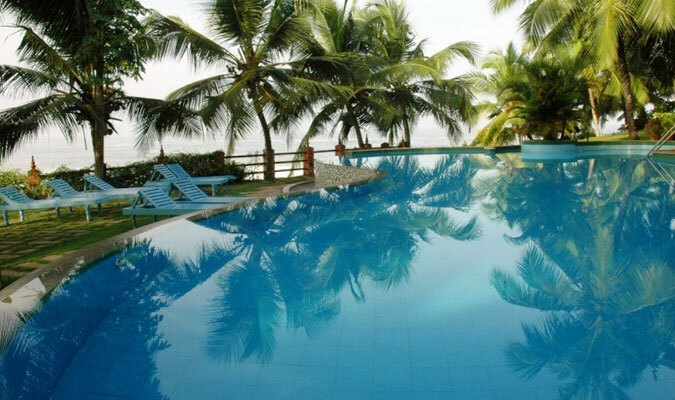 The coconut trees, paved pathways, yellow marigold flowers and the cool breeze rejuvenate you completely. The rooms are well-equipped and the food is lip-smacking. Well-furnished and elegant standard rooms come with a private front garden where you can sit and enjoy nice views of the Sea. This category is ideal for economy guests. Enjoy all the basic necessities such as free Wi-fi, en suite bathroom, housekeeping, round the clock room service, mosquito nets, fan, laundry service, complimentary toiletries, tea/coffee maker, TV with satellite connection and more. Spacious, well-adorned and well-furnished are all the words that describe Garden Cottage set amidst lush garden. Sit outside in the garden, enjoy nice views of the Sea and rejuvenate all your senses. Telephone with STD/ISD service, cloak rooms, private bathroom with bathtub/shower cubicle, dry cleaning/laundry, safety deposit, 24-hr room service, twin/double beds are some of the facilities offered in these cottages. Special cottages are huge, well-fitted, airy, well-furnished and come with either square or round shaped thatched roofs. 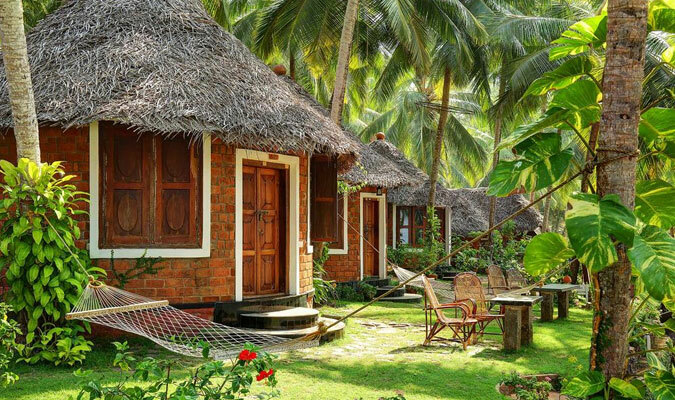 Bounded by well-maintained gardens, these cottages offer a nice view of sea. TV with satellite connection, free Wi-fi connection, option between fan and AC, mosquito nets, attached bathroom with bathtub/shower cubicle, 24 hour room service, housekeeping service, telephone with direct dialing, etc are some of the facilities here. Independent, round-shaped Kerala House Standard has a traditional Kerala architecture and has antique furniture. Have a comfortable stay amidst all the modern comforts and admire the heritage look. You can enjoy nice views of the Sea while sitting in your private garden. The list of amenities and facilities offered here include safety deposit locker, TV with satellite connection, attached bathroom with shower cubicle/bathtub, tea/coffee maker, double/twin beds and more. Kerala House Deluxe A/C charms you with its round-shape, well-lit atmosphere and traditional Kerala architecture. Treat your eyes to the beautiful view of the Sea while you sit in your private garden. Free Wi-fi, complimentary toiletries and shower cubicle/bathtub in the attached bathroom, housekeeping, fans, round the clock room service, TV with satellite connection, safety deposit locker are counted in the list of facilities offered here. 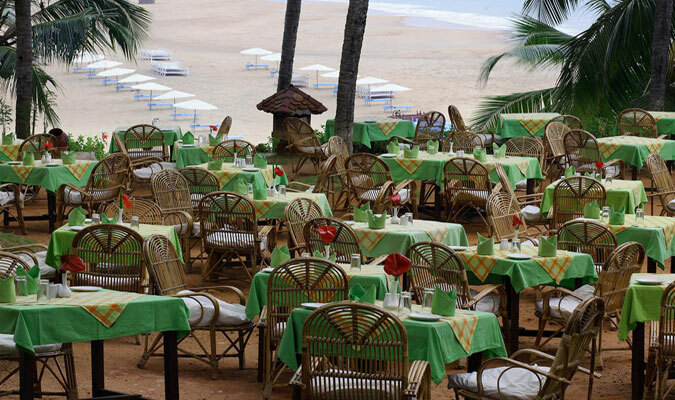 The open air multi-cuisine at Manaltheeram Ayurveda Beach Resort serves sumptuous Indian and other popular World fares. Enjoy al fresco dining with a beautiful view of the sea. The lawn, paved pathways and the wicker chairs keep-up the relaxed atmosphere of the resort. Choose your favorite dishes from a vast variety of around 250 vegetarian delicacies, fresh juices and freshly-cute raw salads. The chef and his team take proper care of the hygiene levels.